An established residential area, the East region has excellent amenities such as shopping areas, schools and community facilities. There are also good job opportunities at Tampines Regional Centre, Changi Business Park, and the industrial estates at Paya Lebar, Loyang and Changi. Supporting all of these is the extensive transportation network, which includes the East-West MRT line as well as major expressways like the ECP, PIE and TPE. In terms of leisure, the East Region has attractive coastal parks, like the ever-popular East Coast Park and Pasir Ris Park, and the 42km Eastern Coastal Park Connector network which was completed in 2007. Also in the East region are unique leisure destinations like rustic Changi Point and bustling Siglap Village. Residents can expect more offerings to make the East region an even better place to live in, in the next 10 to 15 years. The priority will be to continue enhancing the living environment, by rejuvenating and upgrading mature estates and offering new housing choices at attractive locations. In tandem with the growing population, more employment opportunities will be made available in the East, lessening the need to commute elsewhere. This will also help reduce congestion on the main traffic spines like the ECP and PIE. To meet the demand for more homes and jobs, two new MRT lines will provide better connectivity from the East to the city and other parts of the island, so that when residents do have to travel, it will be quick and easy. In 10-15 years: Another 31,000 homes planned. Today: An array of business and employment opportunities at Tampines Regional Centre, Changi Business Park, Kaki Bukit Industrial Estate, Pasir Ris Wafer Fabrication Park and the Airport Logistics Park. In 10-15 years: Another 200,000sqm of commercial space and 330ha of industrial land planned. Today: East region already enjoys a well-developed network of parks and park connectors, comprising 580ha of parks linked by 40km of park connectors. In 10-15 years: Another 37ha of new parks, and 13km of new park connectors. Residents in the East region can look forward to an even better living environment over the next 10 - 15 years. As part of the rejuvenation programme for mature estates, Bedok Town Centre will see some exciting changes. Besides additional housing to bring more live-in population here, a new shopping centre integrated with a bus interchange will bring more buzz and convenience to the town. Residents can also look forward to new community spaces, amenities, and better access within the town centre. Residents in other parts of the East will also continue to benefit from HDB's recently revised upgrading schemes like the Home Improvement Programme and Neighbourhood Renewal Programme, e.g. HDB precincts along Tampines St 21. Private estates like Opera Estate and East View Estate will also continue to be enhanced through the Estate Upgrading Programme. New homes will be built in accessible places such as near MRT stations, to offer more housing choices for people who want to live in established towns. You can look forward to beautiful new housing communities near parks and waterbodies. For example, new housing with scenic views will be introduced around Bedok Reservoir and East Coast Park. There will also be a new estate at Jalan Loyang Besar, which will allow residents to live near the popular Pasir Ris Park. To better serve the needs of the residents, the Tampines Regional Library will undergo expansion over the next few years. The expansion will make the popular Tampines Regional Library even more attractive for residents to enjoy. New Primary Schools and Secondary Schools will be introduced in Tampines, Pasir Ris and Bedok towns to meet the demand for schools in the East. Many existing schools in the area will also have their facilities upgraded under MOE’s Programme for Rebuilding and Improving Existing Schools (PRIME) scheme. The campuses of Tampines Primary and Secondary, St Anthony’s Canossian Primary and Secondary, and Junyuan Primary schools are being or will be redeveloped, while several others like Dunman Secondary School and St Hilda’s Secondary School will have their campuses upgraded. By 2010, United World College (UWC) will be setting up its second campus at Tampines Ave 10/Tampines St 73, to meet the needs of the growing expatriate population. This school is expected to have an enrolment of 1,200 students. The new Downtown Line 3 (DTL3) coming up in the medium term promises greater convenience for East region residents. This will expand the island-wide rail network and complement the East-West Line, making for quicker travel from the East - such as Tampines, Singapore Expo and Bedok - to the city. There are also plans for an Eastern Region Line (ERL) to link Changi to Marina Bay. Together, the new rail lines will provide a comfortable and convenient commute for residents. The TPE will be widened to four lanes in each direction, while local roads like Tampines Ave 10 will also be widened. Residents will be able to experience smoother traffic between the North-East and East regions. Like the existing residential areas, Tampines North will boast an extensive suite of supporting amenities including schools, healthcare, community, sports and recreation facilities. Amenities in the existing towns will continue to be enhanced. For example, the much anticipated Tampines Town Hub will breathe fresh life into Tampines Regional Centre. Changi General Hospital is being expanded to add more beds and medical facilities to serve residents in the East. Pasir Ris will see a much welcomed hawker centre. The East West MRT line (EWL) serving the East Region is set to be joined by three new MRT lines in the future, the Downtown Line (DTL), the Eastern Regional Line (ERL) and the Cross Island Line (CRL). Together the three new MRT lines will ensure that the majority of East Region residents will have access to MRT Stations within walking distance from their homes.The EWL signalling system will also be upgraded by 2018 to allow six trains every ten minutes instead of five; a 20-percent increase in capacity. The DTL will extend eastwards to complement the EWL to the city centre, increasing East Region residents’ accessibility to public transport and providing relief to the existing EWL capacity. The DTL station at Tampines town centre will be part of a future Integrated Transport Hub (ITH) which will include a bus interchange, similar to the ITH under construction in Bedok. In the longer term, a third ITH is planned for Pasir Ris. In addition, the region will continue to benefit from the Bus Service Enhancement Programme (BSEP). Changi Business Park will continue its expansion as a vibrant business park and hub for employment. At the same time, the upcoming Singapore University Of Technology And Design will offer potential tie-ups and collaborations with businesses in the park, while providing leading-edge educational opportunities. The opening of Project Jewel and Terminal 4 in Changi Airport will provide thousands of attractive new job opportunities. Project Jewel will be the next exciting new addition to Changi Airport since Terminal 3. It will allow the expansion of Terminal 1 while also introducing new attractions and exciting retail choices to travellers transiting at Changi Airport, thereby anchoring Changi Airport as a global air-hub. The attractions will also be open to the public and bring new leisure, retail and F&B choices for residents in the East and the rest of Singapore. 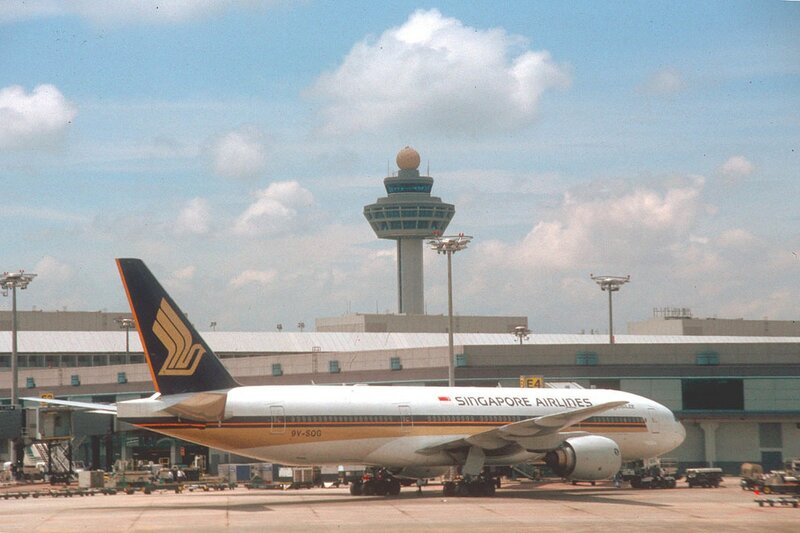 The new Terminal 4, like the other existing terminals, will be a full service terminal, offering attractive aviation related jobs to Singaporeans while expanding Changi Airport’s passenger handling capacity.